apaiser’s beautifully handcrafted marble bathware is effortlessly elegant and is renowned for its natural organic feel and sculptural lines. This, fused with Kelly Hoppen’s distinctive design philosophy creates a blend of curvaceous shapes and highly functional design. The new collection includes stunning layered designs such as the SERENITY that resembles the petals of a lotus flower and the ORIGAMI that was inspired by the intricate Japanese art that gives it its name. Formulated with optimum performance in mind and using reclaimed apaisermarble® as its core, each apaiser™ bathware piece is handcrafted and has minimal impact on the environment, yet does not compromise on quality, creating a therapeutic bathing experience. This new collection of apaisermarble® bathware is a celebration of the East, where the act of bathing is a ceremony. Its beautiful simple designs combined with clean lines, complementary symmetry and neutral tones, result in the perfect harmony. It is both functional and beautiful and the epitome of sophistication, portraying purity and strength with its soft lines and Zen-like feel. The result is a truly sublime blend of inspiring design aesthetic and a luxurious bathing experience, which eases the ever-increasing stress of modern life. This is truly a collection for the 21st century. 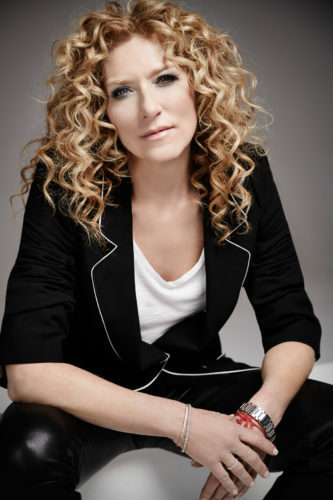 Celebrating 40 years at the forefront of the industry, Kelly Hoppen’s ever-evolving design philosophy is underpinned by a subtle, coordinated fusion of East meets West. Her clean lines and neutral tones are always blended with charming warmth and sumptuous opulence, keeping true to her core values of high quality, simplicity and timeless elegance. Passionate about making her design ethos accessible to the masses, Hoppen has now written eight books. In addition, she is honoured to be the recipient of copious design awards and the proudest point in her career to date came in 2009, when she was made an MBE for her services to interior design. Recognised for the passion of empowering women in business, she was also awarded the NatWest Everywoman Ambassador award in December 2013.
apaiser™ bathware is available globally with its flagship showrooms in Melbourne, Australia (344 Burnley St, Richmond) and Singapore (23 Mosque St, Singapore). With my signature style and apaiser’s experience as one of the leading bathware designers, we have created a range that is both beautiful and unique.